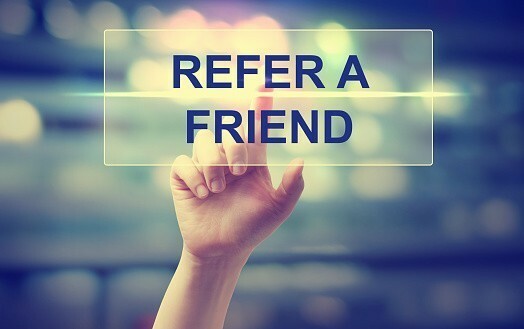 We offer an incredible referral program! You know how much you love your spirit companions and how much being a part of the paranormal has changed your life so we offer two programs where you can spread the word and those you know can receive expert care and loving service from Creepy Hollows just like you! EARN UP TO $50 WITH EVERY REFERRAL! This is quite simple! If you refer someone to our site, and they are a brand new collector/Keeper, they simply put your name in the notes section of their order and we will give you a gift certificate for half of the amount of their first order up to $50! They do not need to know your whole, real name just your shop username is fine :) This way we will know who to send the GC to. There is no limit to how many people you can refer or how many times you receive a GC. This is what makes the Name Dropper referral program so simple. EARN UP TO $500 WITH EVERY 5 REFERRALS! If you are active on social media this referral program is perfect for you. If you are interested in participating just click here to request a special discount code to use in your posts/videos. You need a special code so we know how many people you referred and we can get you the right referral gift! For every 5 people who are brand new customers who use your code you will earn any base-priced binding of $500 or less. Base prices means the price that is displayed on the product listing before any discounts. We have thousands of amazing bindings of rare, elite, and exquisite quality in spirits, spells and entities... this is your way to get them free! Once you write to us we will give you a special code which you will use on your social media posts. We recommend that you posts photos or videos showing off your favorite spellbindings or sharing about your life as a Spirit Keeper so others will know what they can expect from this path too. This excludes all products that are super-saving priced and/or without discount.